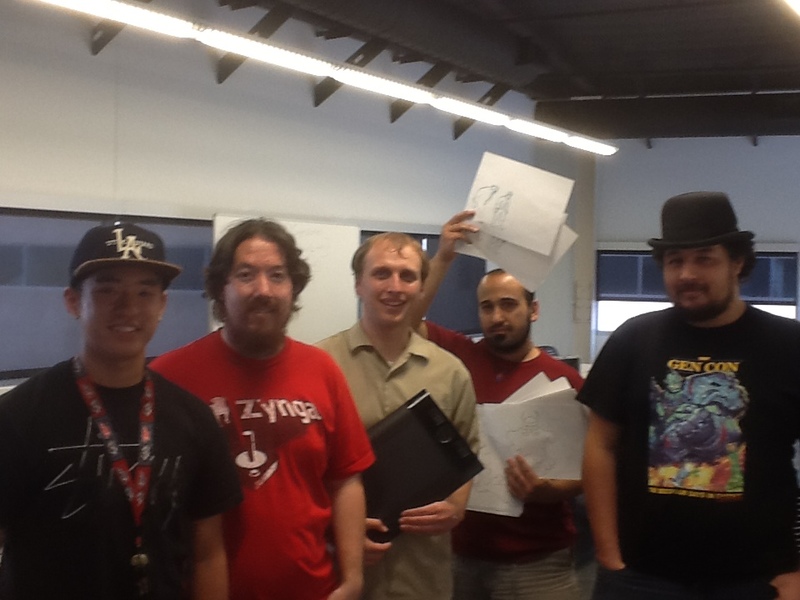 A couple weeks ago Aug 23-25th I participated in the NM Game Jam 2013. we were a team of 5 so we called ourselves 5 guys. Picture below. We were giving a Theme "It takes two to tango" and told to go at it. also an hour after the Ludum dare started. Which theme was 10 seconds. we decided to skip that. and formulated a game that takes two players to beat a boss. trailer video below. and here is the gameplay video. 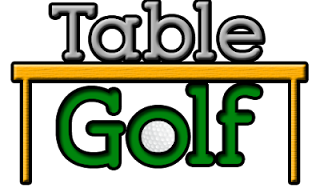 Well it seems as though it's time for me to finally put up Table Golf, all this time I've been waiting for something to happen as to which I wasn't sure what it was. Yesterday I've come to the realization that this is never gonna happen. Also I'm gonna print out some promo weather to give out at Gen Con 2013. It's called The Black Hole. If anyone wants this let me know and we can meet up. In the previous link I spoke of different games. I think I got the logo for the golfing game completed. In Table Golf you deal out hazard cards to all of the players, and who ever has the hole card places it on the table and decides where the players will start the game. they then place the hazards down and play the hole. the first person to get to the hole gets a point and everyone has one chance to get to the hole themselves. contrary to scoring on golf the player with the most points is the winner after 9 holes. The last time I posted I announced Steamopolis... my my it has been a while. Since then i have started several projects. there is 3 in particular that i'm currently working on. this is my trick taking game. This game is played over 3 ages(suits). and each age has a different play style. in the age of glory the VP is raised up higher, all of it's abilities are centered around that central theme of bumping up the VP. In the age of corruption this suit has several abilities to pass along negative VP to your opponents. or if there is a rather large VP trick(see glory above) immediatly take that trick at a slight loss of VP. the last age is Misdirection. This age is all about changing the rules and about playing tactically to achieve your goals. in this dexterity game you play 9 rounds of golf. but have to be mindful of the hazards that are around the field. the winner has the option of where to place the hole and where the players start then they place the hazards around the course (dining room table) and then must launch the cards towards the goal. In this game you fight other people with ships. You start of with a hull. and you have to place components around your ship to fight off your opponents ship. each component has it's own HP as well as HP it adds to the integrity of the ship. Edit: By the time I was done with this post I thought of another. another that I should playtest tomorrow. That one is a fishing card game that plays nothing like Go Fish! My name is Aaron Gresham. I am a web developer for a local company called Solutionwerx in Albuquerque, NM.